Viber is one of most popular worldwide VoIP-messengers with the functions of HD video-calls, group-chats and voice calls redirecting. Viber was created to fulfill one of the most required personal needs – communication, and in order to accomplish this purpose the developers have made their best. In this instruction I will tell how to add new contact on Viber (i.e., its mobile version). It is impossible to add new contacts via PC-version of the utility, as far as it applies the synchronization with the cellular data in its operations. 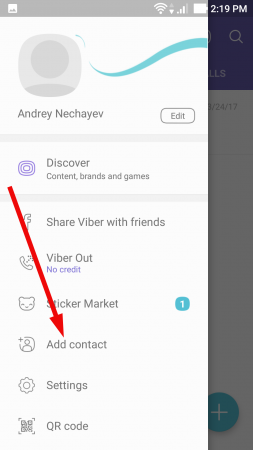 Viber is closely linked to the mobile number, so by default when you run the program, you will see in messenger all the contacts, that have been added to the contact list of your smartphone. 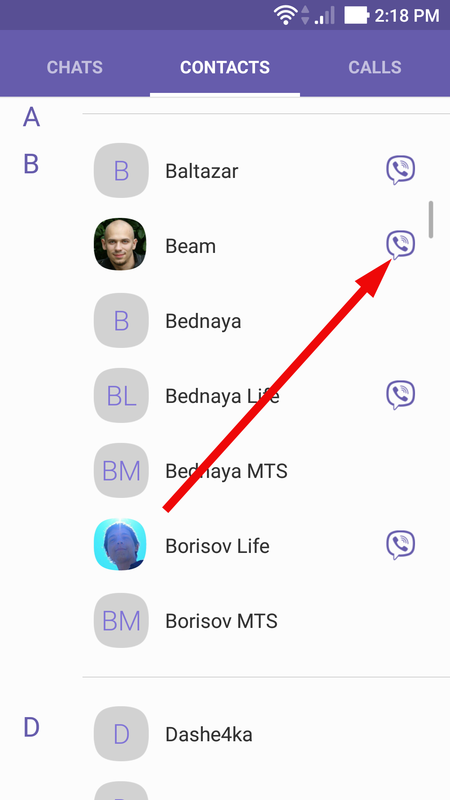 The contacts which are available in Viber and whom you may talk to will be highlighted with the special icon on the right of the contact name. Thus you will see the differentiation between the people who installed the app on their phone and between those who didn’t. 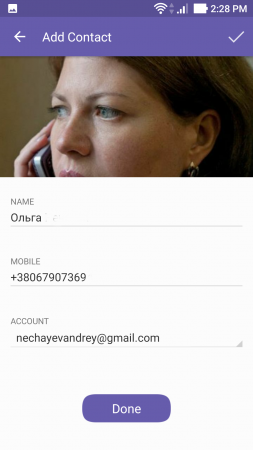 after that the form appears, where you should specify the new contact number. 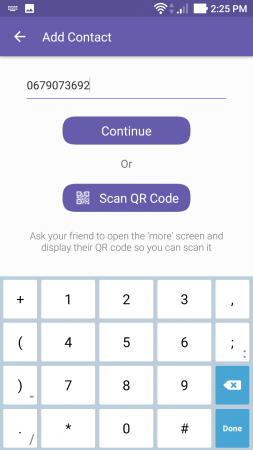 Alternative method of adding new contacts concludes in QR-code scanning. In this way you’re ought to ask your friend to and represent his personal QR-code on his phone. As a result, you will have to scan it manually with the scanner, and afterwards the contact will be added to your address list immediately. But we will make a pause on the first variant. After the number is entered, click the “Continue” button. 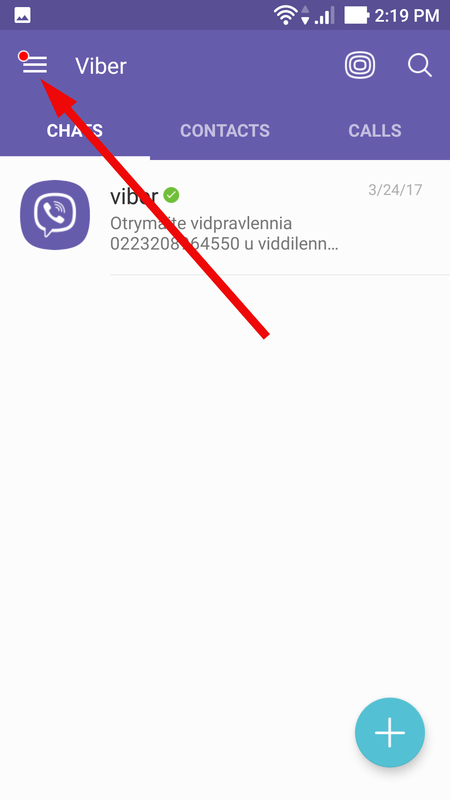 If the contact which you are trying to add, is not registered on Viber, you will see proper notification message. In the same form you will be proposed to invite a subscriber to Viber network. If you agree on that, the subscriber will receive an SMS-invite from you, and you will have to wait, till he is registered in order to add him. If the subscriber is already registered, the contact will be added just at once, and you are free to send him the messages and make calls. With this step the procedure description of how to add people on Viber is approaching to an end. 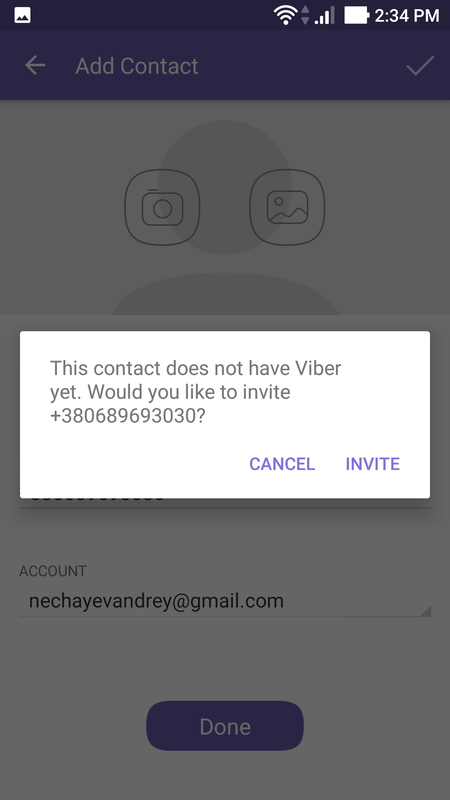 Important note: if you add a contact to you cell-phone’s contact list, his info will be immediately transferred to Viber, regardless of whether he has created account in Viber or not. 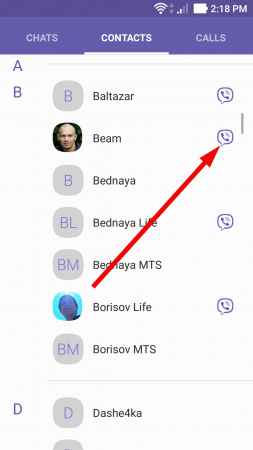 So you may simply work with your contact book, and due to synchronization you will see all the needed info about contacts in Viber as a result.